There’s no doubt that a great classroom library has a large variety of books. 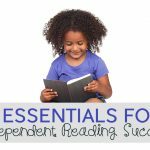 As teachers and homeschooling parents, we understand that children need a variety of books for reading practice and to spark or broaden their interests. 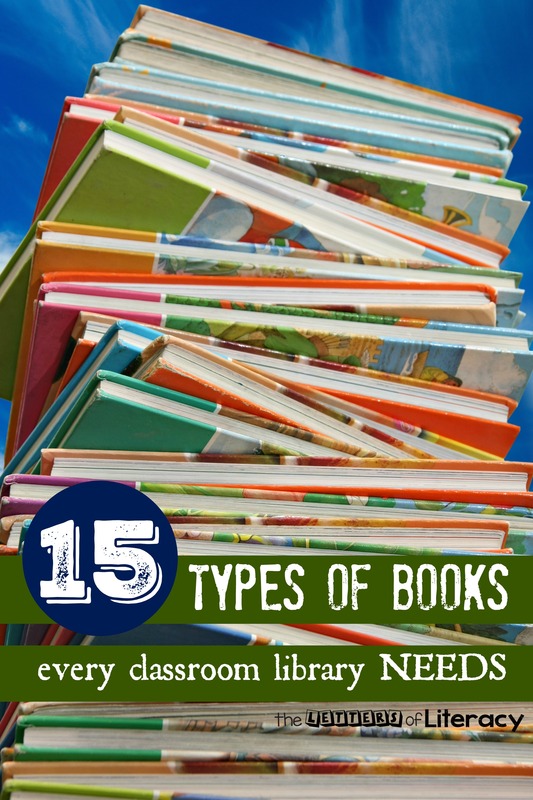 There are fifteen types of books (no, not necessarily genres) that every classroom library should have to be well stocked. My first year teaching, I took a class that had been created with the expectation of hiring a new teacher, and I inherited a lot of books from another teacher in the building. It was so generous of her to share her classroom library with me so that I had something to offer my students. Those books filled a few shelves at the back of the room, and throughout that first year I did my best to add to it. But…that teacher, while kind-hearted and well-meaning, gave me those books because they were not received well by her own students, and they remained cast-offs in my classroom. They were old, but not classics, and well worn with smudged-off pictures from children making an attempt to get through just the first few pages before completely losing interest. Most of the books I had never heard of, let alone read myself. This was not a classroom library I could be proud of, nor was it one I could direct my students to when they were in need of something to read. So I sorted through those books with a critical hand and replaced them with newer, or at least classic, books I knew would be of interest to my students. Books I had read myself so I could help my students use my classroom library, rather than allowing it to continue to lay abandoned. Books by award-winning authors as well as books by newer authors trying to break ground. Books of a variety of content, difficulty, and length. Why is Variety Important in a Classroom Library? can spark interest in new concepts. helps activate children’s background knowledge. 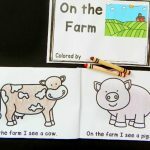 helps children make connections to the book. And these three things come down to what? Simply put, having a variety of books in your classroom library motivates children to read. Reluctant readers are encouraged by being allowed to choose from a vast collection, while a willing reader looks for similar books to those they already know they enjoy. 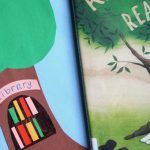 Book variety makes reading more enjoyable for children. Picture story books include text that is highly associated with the illustrations, making it possible for emergent readers to practice “reading” by telling the story through the pictures. Even children of older grades enjoy reading picture books, and just about all children enjoy having picture story books read aloud to them. Picture concept books typically only have a few pictures per page with the identifying word printed below it. These books are good for emergent readers and ESL students. Traditional literature, like nursery rhymes and fairy tales, offer a printed form of stories that were originally oral. Children tend to gravitate to these stories. And now, so many authors have created their own spin-off, or fractured fairy tales, that there is something to please every age and skill group. Informational text offers non-fiction in our classroom libraries. Classroom libraries should have an extensive collection of non-fiction books of content that interest children of a given age. Realistic literature is so very important to include. This type of book features real life problems that children may be experiencing themselves, such as going to a new school, being bullied, or welcoming home a new baby. There are even picture books of realistic fiction that deal with very sensitive issues like divorce or death. 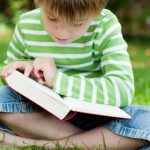 Early reader books often are familiar stories written with text easy enough for beginning readers to read them, or they feature familiar characters. Wordless books can carry definite story lines without the use of any text. They used to be thought appropriate for only very young children, but in reality, wordless books offer children opportunities to read the pictures and children will often “read” a very complex story within the pictures. They are also wonderful for writing prompts. Big books are generally familiar stories written in a format large enough to need an easel for reading. The purpose of such a large book is that children can more easily see the text and follow along with the teacher as the books it being read. Big books make it possible to do some otherwise small group reading practice with a larger group of children. Biographies are of high interest to children. Historical figures, sports and television icons are widely available in a variety of difficulty levels. Joke and riddle books are very fun for children and are an excellent way for students to share reading with others. Poetry books are easy to forget about in classroom libraries, as some have thought most poetry to difficult for young children. However, authors like Shel Silvertein (we love Where the Sidewalk Ends), A.A. Milne and Mary Michaels White have made poetry much more accessible to young readers, just to name a few. Books in a series are wonderful for encouraging reading. The same is true of books by the same author/illustrator. 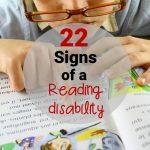 For example, once a child reads a Mo Willems (my kids LOVE the pigeon books), Eric Carle, Eric Litwin or Laura Numeroff, they are sure to ask for more. Participation books get children actively involved in reading by stimulating touch, smell and hearing. Other participation books are written as though the author is speaking directly to the reader, eliciting a response, like The Book With No Pictures by B.J. Novak. Cookbooks and craft books are often forgotten about, but provide meaningful reading opportunities. Children love to sift through cookbooks and make connections to similar dishes they have made with parents, and many times children are more than happy to read and follow step by step instructions in a craft book. It is often a slow and maybe even painful task. Rather than buying up mediocre books on the cheap, teachers should focus on high-quality books by great authors in a variety of content. High quality text + variety of types of books = excellent, well stocked classroom library. Ideally, every classroom library would have collection of all 15 of the above types of books in three to four different levels, guaranteeing that every student has access to their desired content at their own level. But, if your classroom library is full of well-used books that are old and maybe even dusty, that’s an ok place to start. 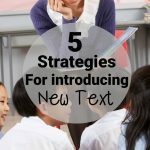 As you expand your library, focus on quality text and variety. Within a few years you can also have an extensive classroom library full of books in a variety of content and skill levels. 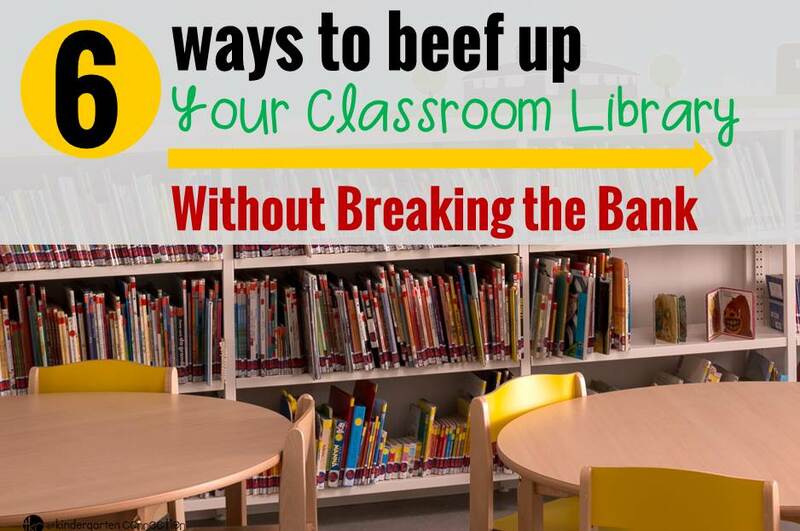 Looking for more ways to get books for your classroom or home library? 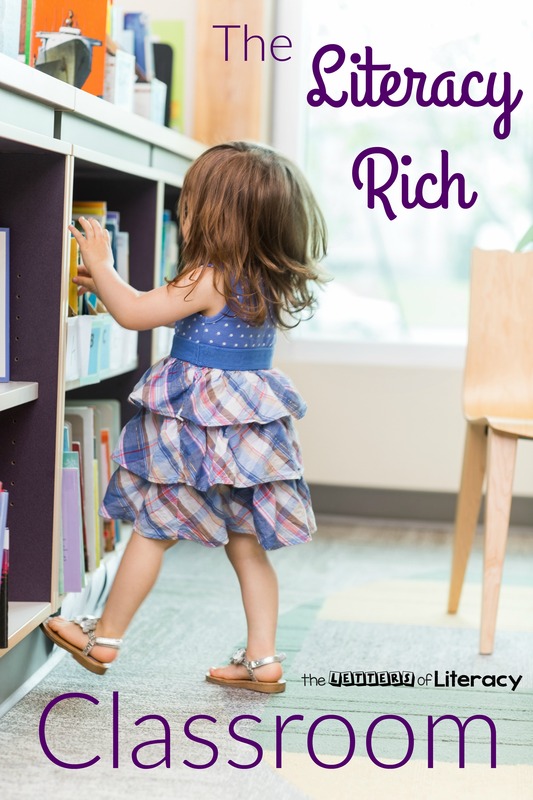 Wondering what makes a literacy rich classroom? Here are some of our favorite articles to share! My dog and I are a therapy dog team. I always like to have a few books with me in case the library books a child has chosen doesn’t interest them or isn’t at the right level. I enjoy donating children’s books to the library as welll so this is very helpful for me. I’m particularly fond of type 6 books, as many of the kids are from difficult home situations. Thanks for sharing this! Hi! 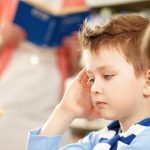 I’m an EFL teacher and am always trying to add new and fun things to do in my classroom, especially when it comes to children. I’ve been slowly putting together a library for my students, but contrary to the typical classroom library, they will neither have it available to them nor will they be able to take books home. My reasons are basically the risk of losing them seeing that our small center, doesn’t offer me any security over my material (that includes my workmates!) Yeah, I know, sad, but in a way, I prefer it that way. 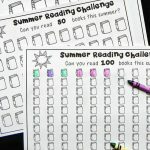 My main idea with my library is to get the kids to slowly enjoy reading in English, but I do want to use strategies and other more “normal” class work with them. I also use them in summer workshops, where the kids are learning basics (colors, days of the week, etc) through play. But poetry? I don’t know what to do with it. I noticed that you added the book Where The Sidewalk Ends to your list, and despite finding the book awfully amusing and fun in general, I’m not very sure of how to use it with the kids – apart from having them memorize the poems, or learn them in a competitive manner. Hi Carolyn! Apologies that I am just now seeing the notification for this message! Feel free to hit the contact button above and email me anytime too – I am happy to chat anytime! You could also take lines of poems or popular rhymes and write them on sentence strips for the pocket chart, cutting apart certain words and having kids move them around or exchange for new words. Also, if you know what their interests are, I highly recommend playing off of them and utilizing a local library if you have one available. For example, one year I had a student who was obsessed (literally) with the Titanic. So we just went and found every book we could on ships. Some of them were too hard, yes, but it was building a love of books, new vocabulary, and the learning that books help us seek out information.